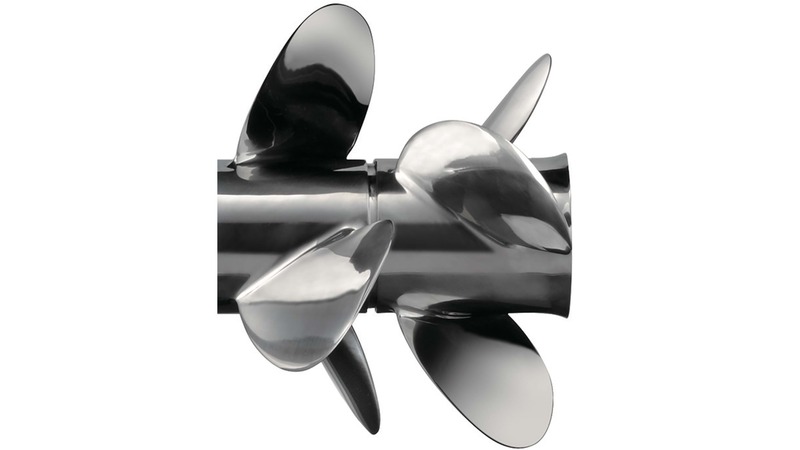 WATERGRIP is a new stainless-steel propeller series offering accurate response to your operation. With efficient conversion of engine power into propulsion, this propeller series meets our customers’ demand for bigger, faster, more powerful outboards. The WATERGRIP propeller series employ a new interchangeable & square shaped propeller bush that minimises power loss in delivery. 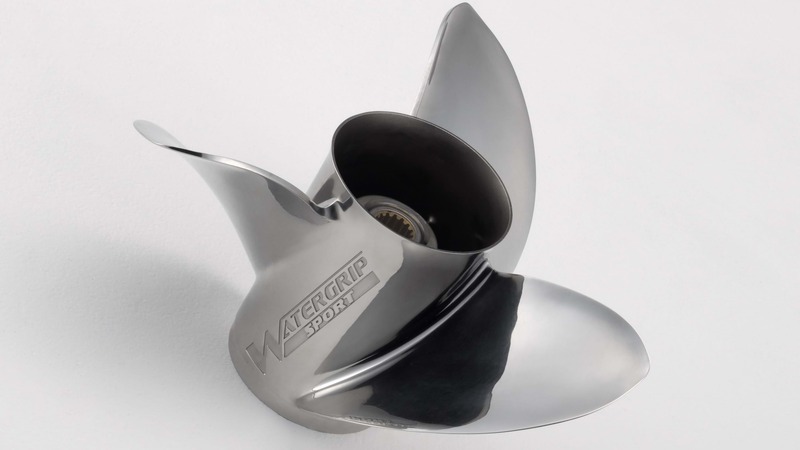 The WATERGRIP propeller series will be the new standard for Suzuki propellers. The new interchangeable & square shaped propeller bush system is designed not only to be replaced easily and quickly, but also to accurately transmit power from the engine to the outboard’s thrust. Customers will be able to enjoy more time having an ULTIMATE experience on water than waiting for repair on land. Our new flagship series, the DF350A/325A, introduced the Suzuki Dual Prop System, an industry-leading technology that is truly a revolution in innovation. Big engines demand more efficiency in conversion of engine output into propulsion. With two contra-rotating propellers operating simultaneously, the conversion efficiency and stable and direct maneuverability becomes greater. The Suzuki Dual Prop System does exactly deliver other dimension of boating to the customers. The ULTIMATE experience on water. Suzuki’s wide variety of propeller line-up also provides fun on the water. Inheriting the ease of maintenance and the power conversion efficiency of WATERGRIP STANDARD, WATERGRIP SPORT series employ high rake blade design, which delivers excellent acceleration and exceptional top speed. In addition, it delivers remarkably stable thrust power to the water when turning, which results in superior manoeuvrability., excellent acceleration and exceptional top speed. We offer WATERGRIP SPORT as one of the best options for light weight sport boat user to experience the ULTIMATE boating.